I know; I know. 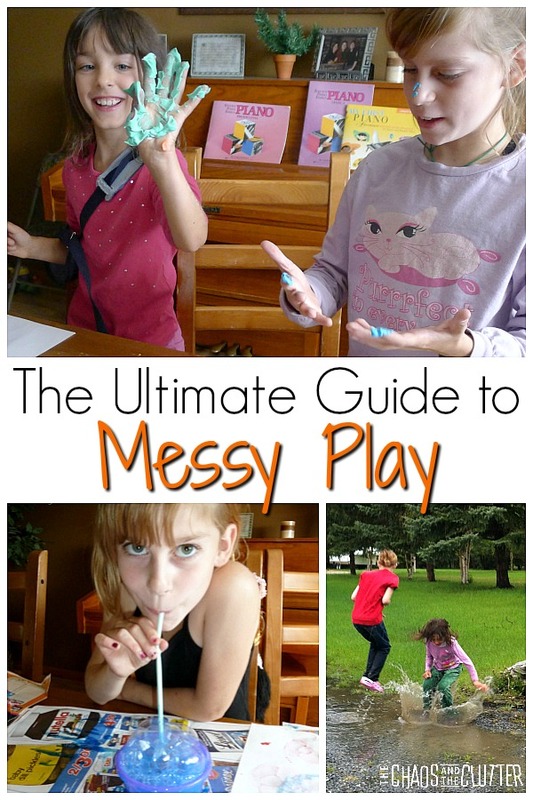 If you’re a parent or teacher, the words “messy play” make you want to run for the hills! But, stick with me for a minute here. Messy play is an important part of a child’s brain development. It allows a child to explore through their senses and to create while learning. Kids as young as babies and toddlers can begin with this type of sensory play. For children who may still put things in their mouths, you can choose taste safe play options. Of course, adult supervision is recommended for all of these activities. Even older kids can benefit from messy play. There are many fun opportunities to get messy for kids (and adults) of all ages. What are the benefits of messy play? Messy play allows children the opportunity to explore the world around them through their senses. 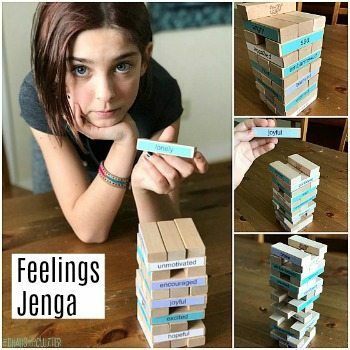 It gives them the freedom to be fully creative. 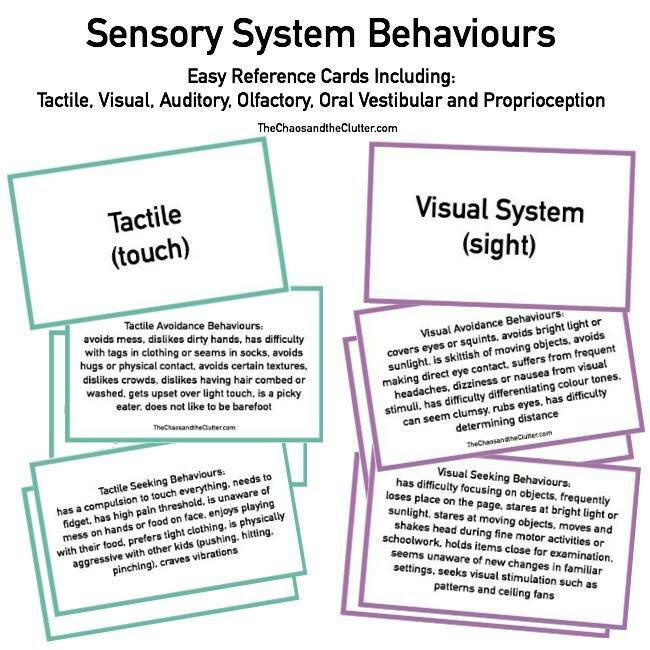 It also carries with it the benefits of sensory play. Messy play enhances a child’s vocabulary, introduces them to concepts such as experimentation and measurement, improves their coordination, gives them much-needed sensory input, encourages problem solving, and helps regulate emotions and behaviours. 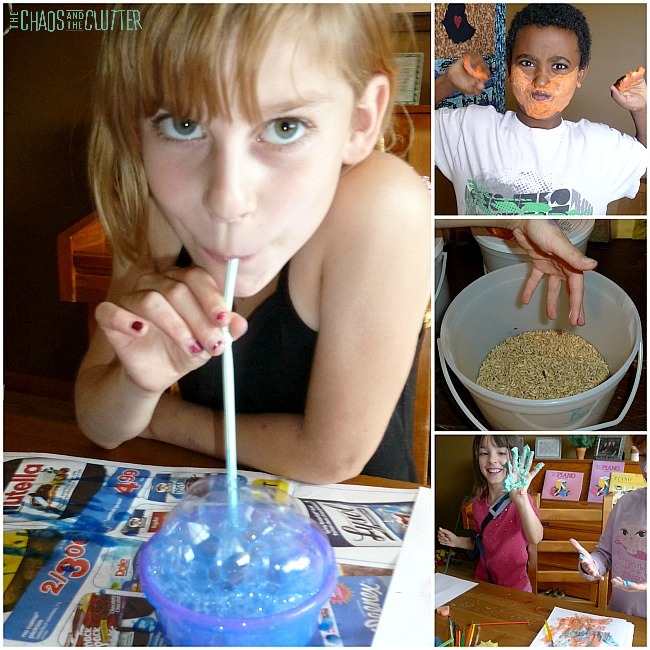 Messy play gets children used to a variety of textures and this can actually help picky eaters. They become accustomed to different textures which helps their willingness to try new foods. All those benefits far outweigh the inconvenience of the cleanup. Plus, messy play is fun and fun is an important part of childhood! Put a shower curtain liner (buy from the dollar store) underneath the messy play activity. It can easily thrown in the washer afterwards. Pack extra clothes and a plastic bag in case your child gets theirs dirty or wet. Have your child wear an apron or art smock. Have play clothes available that your child knows they can get dirty and even stained. 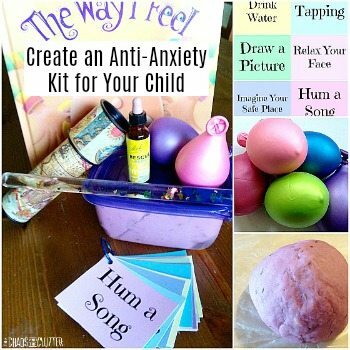 Use washable paints and play materials. Lay newsprint down on the table underneath the messy art projects before you begin. Use a plastic tablecloth to make play dough or slime cleanup easier. The bathtub is a great place for messy play. Place the sensory bin or sensory activity inside a much larger plastic tub. Keep wipes or paper towels and water nearby. Stay close by to supervise as the messy play materials can easily migrate to other areas of the house when kids are excited or distracted. I’ll be honest with you… Messy play used to make me cringe. I remember one spring after we moved to our acreage. The snow melted and part of the yard didn’t have grass yet. It created a giant mud pool…which two of my girls went swimming in. Afterwards, the bath water looked like chocolate. And the clothes they had been wearing were so caked in mud that I was tempted to throw them away. With my oldest two sons, I was that mom that told them NOT to splash in puddles. There was no glitter in the house and for painting, we used paintbrushes, not hands. But then I saw how quickly time goes. Childhood is fleeting. When our other kids came along, I wanted them to experience all the mess and dirt that childhood had to offer. 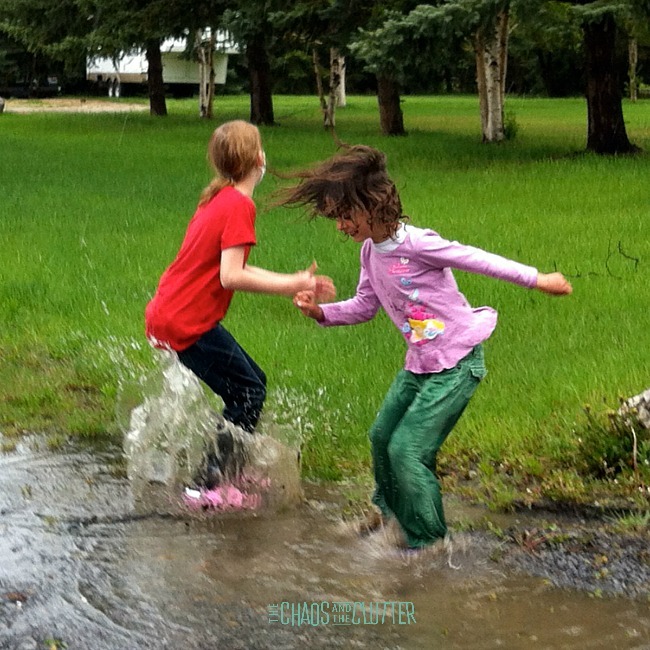 Look at the absolute joy that comes across in these pictures of two of my girls splashing in puddles in our yard! Yes, their clothes got wet and dirty. Yes, they got a bit cold. But their laughter made it all worth it. 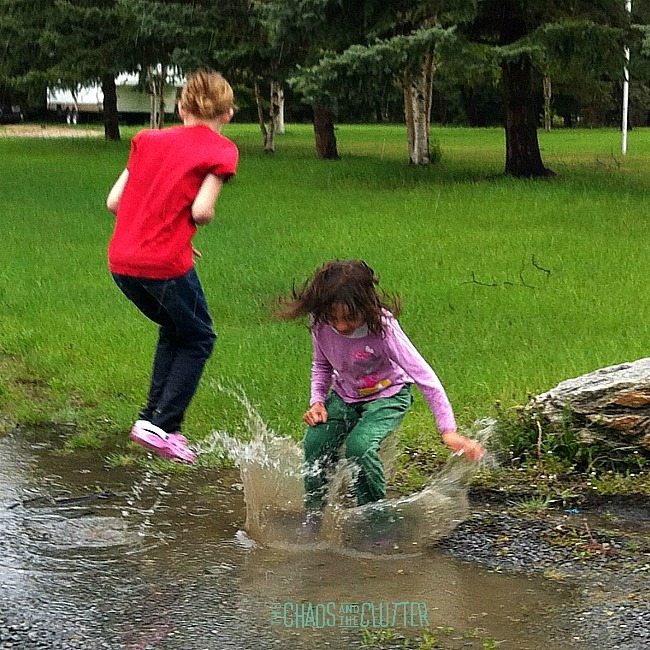 These pictures to me convey more than just kids playing after a rain. They are proof that I was able to change. 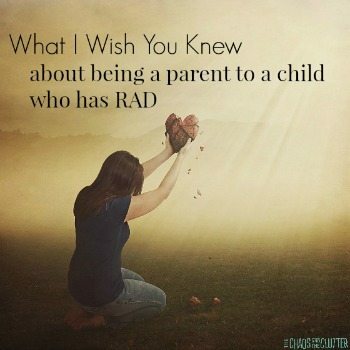 As a mom, I was able to grow and get out of my comfort zone. And because of that, my kids have had more memories and less clean clothes! For more sensory solutions and activities, sign up for our email series and get a free sample of our Sensory Play Recipes eBook including recipes perfect for messy play.